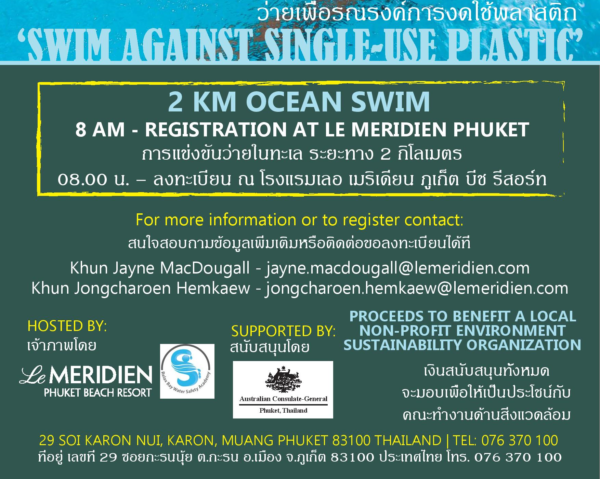 Our EARTH DAY event is a 2km ocean swim from Karon Beach to Relax Bay, Phuket. We invite swimmers to register and join the swim to promote awareness about the need to reduce plastic in our everyday lives. All proceeds will benefit local beach cleaning and underwater cleaning activities locally.